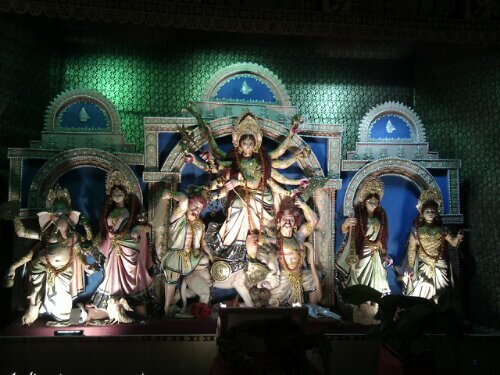 On Navami, we did manage to see the rest of the pandals we were aiming to see. 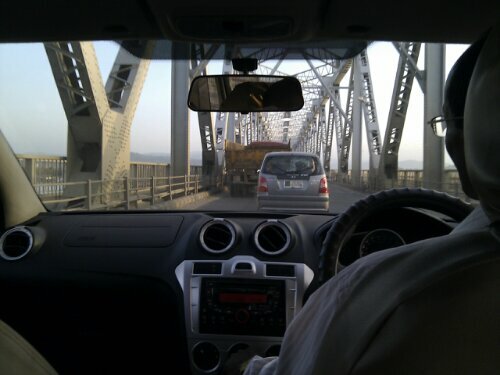 Leaving home at 3 PM, we first toured Pandu port area, followed by Athgaon, Bharalumukh and finally Maligaon. It didn’t just end there, as we missed seeing the local pujas. 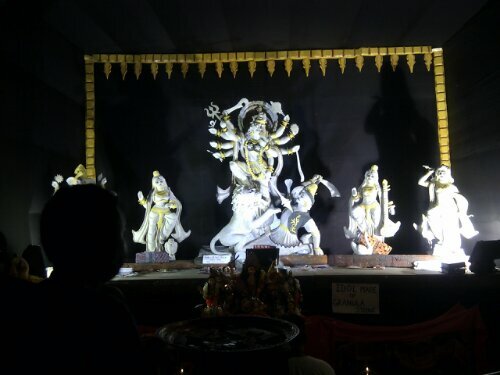 So after we returned we saw the pandals at Amingaon and North Guwahati (College Nagar and Doul Gobindo temple area). Reaching home at around 11 PM, it was pretty much of a hectic day. Dashami wasn’t a very interesting day. I felt dizzy all the time, so I spent the entire daytime in deep sleep. Waking up in the evening, I wasn’t really inclined to sit in front of the computer and upload pics. But yeah, I will do it soon. I managed to catch a cold, and this headache is not helping me. Still I hope earnestly, so that I feel a little better so that I can sort out the pics and upload them. Everyone, please stay tuned, while I catch up with stuff. 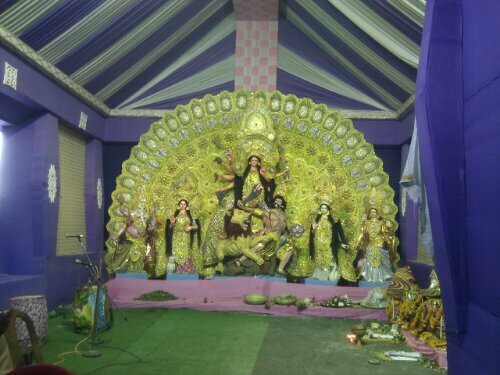 We began our puja pandal hopping yesterday, on Saptami. To add to the fun, my old friend and classmate back at school, Sailesh (now in NIT, Silchar) and his parents decided to accompany us. We spent the morning with a get-together at our home with them. 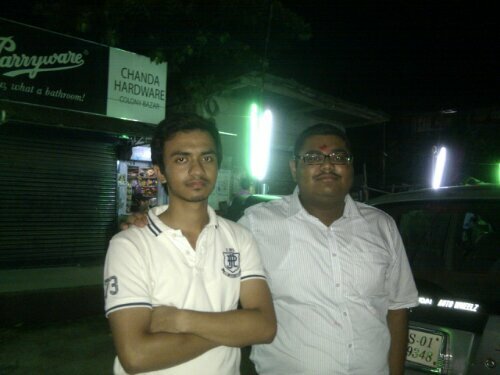 I and Sailesh had lots of fun talking about the good old times and also discussing over our present college lives. 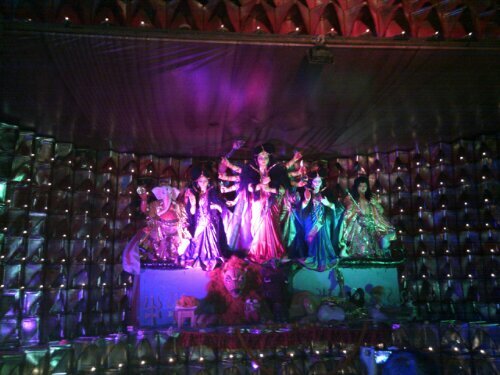 In the afternoon, we all went out for pandal hopping. 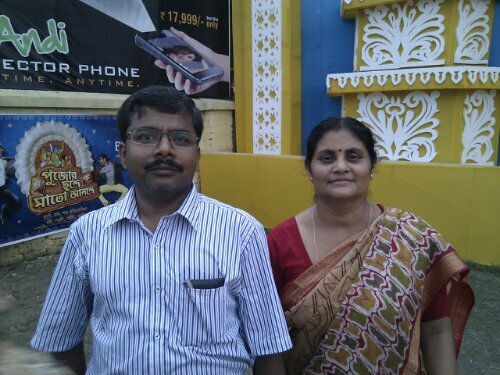 We took the National Highway 37 from Jalukbari, and visited the pandals on the way. After that, we entered the city at Lokhra, and followed Lokhra road to Lal Ganesh and Kalapahar and then all the way to Paltan Bazar via Chattribari, Rehabari and Birubari. Finally it was 8 PM and time to go home. Also an unforgettable moment when I shot a pic of our family car while riding Sailesh’s family car. 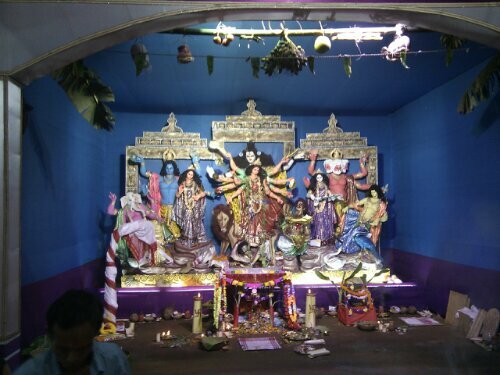 Today, on Ashtami, I’ll be going out again for seeing more pandals. I’ll be uploading all the photos as soon as I sort everything out. 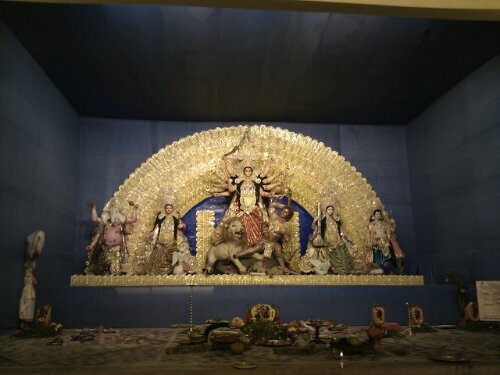 Have a wonderful puja everyone! 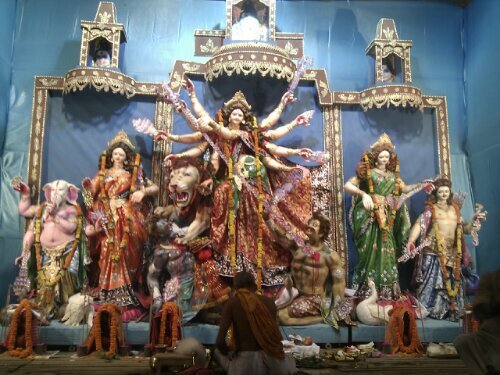 Well, now Durga Puja is coming up and I’m pretty much excited about it. 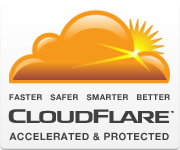 Only a few days are left, before we all will be having lots of fun. 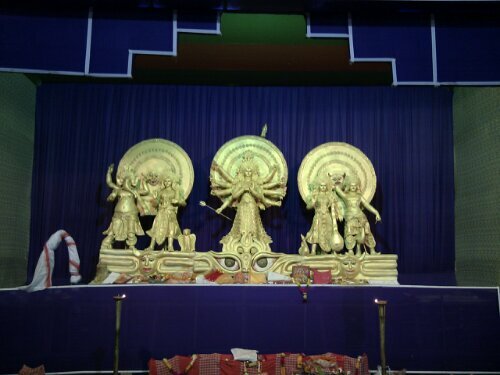 As usual, I’ll be taking photographs of each and every pandal I see and nicely showcase them in the photo gallery. Till then, stay tuned. Have fun!